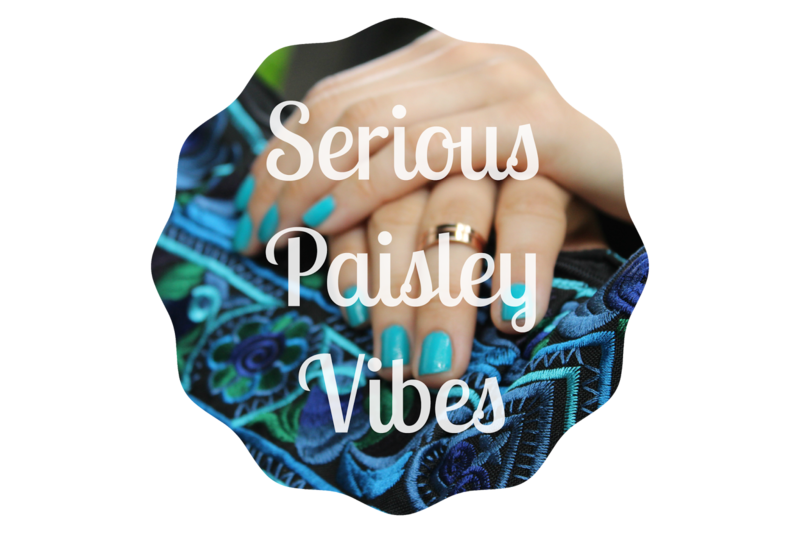 There's something about paisley that screams summer to me. Exotic locations...paisley. They're on the same agenda. Well, they are in my opinion anyway. 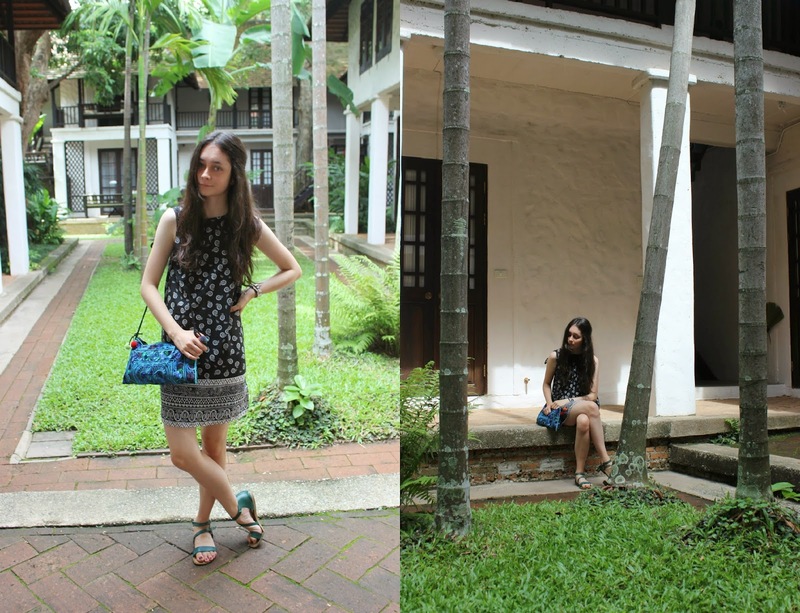 Grab a pair of strappy sandals and hey! you're good to go. So with this aforementioned opinion of mine in mind I simply had to take advantage of this beautiful £4 bargainous sale purchase I found at New Look earlier this year and truly hit the road. 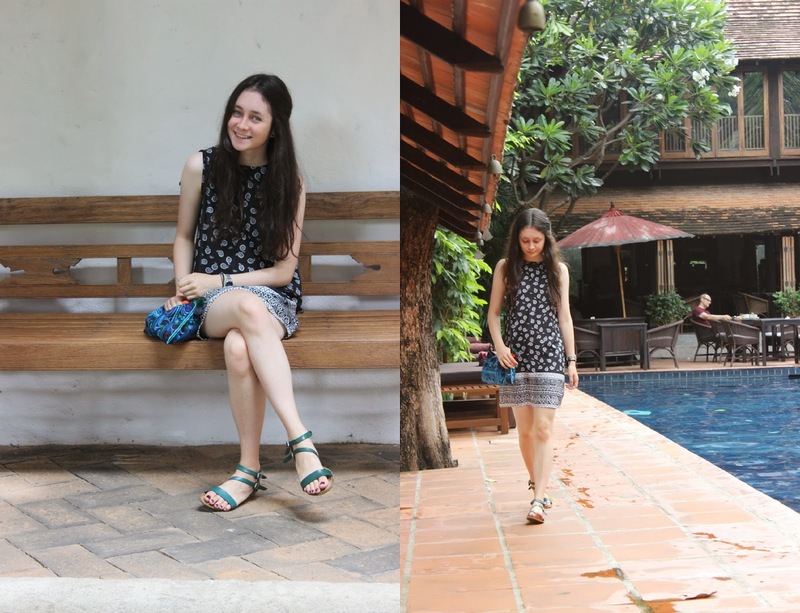 We stayed at a beautiful yoga retreat-like place in Chiang Mai called Tamarind Village, so naturally I had to take advantage of the numerous gorgeous bloggy backgrounds it had to offer and go on a mini photoshoot with Dad. Considering I've been posting outfit photos on here for two and a half years, I still don't really feel comfortable with the whole posing for photos thing and whatnot. I much prefer being behind the scenes. I'm an awkward lil' thing in front of the camera. One who usually dumps a good 90% of the photos taken before selecting the decent bunch. But anyway - despite this, I hope you like the photos. I'll be back with written content that isn't quite so blah soon, as I continue sharing my travels - this time focusing on the stunning city of Chiang Mai. 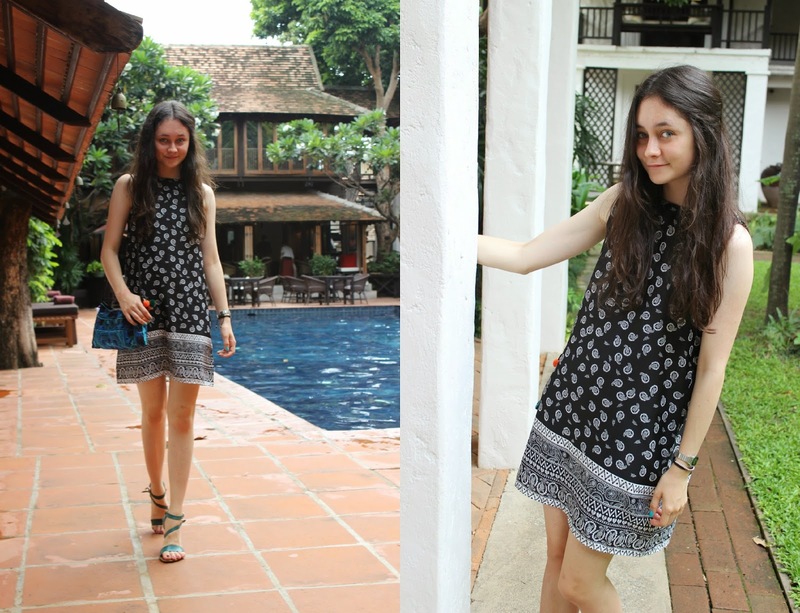 I hope you liked my post all about Bangkok and continue to tune in to the rest of my Thai adventure! Love the nails and the printed dress!! Great post! Thank you very much Shea! I have a lot of experience traveling to and from Vietnam and I have done all the travelling with the help of the http://greenvisa.io visa service. They are the best to do it.